Columbus State is the best place to start a college degree or train for a new career. Get started on your path to graduation today! We keep our region moving forward with education and industry partnerships that advance careers, keep employers competitive, and strengthen our economy. Learn how Columbus State is making an impact. Columbus State graduates are a vital part of the fabric that makes up the Central Ohio community. You’ll find them virtually every industry, on the front lines of providing the care, education, protections, and other products and services that keep our community strong and growing. For a growing number of buckeyes, the road to a college degree starts at Columbus State. Completing two years here, then transferring to a 4-year university gives students a solid academic start and saves up to 40% off the cost of a bachelor’s degree. Ohio has the goal of 65% post-secondary degree or certificate attainment for adults aged 24-65 by 2025. Columbus State supports this by partnering with industry leaders to create a talent pipeline aligned with their needs, and to provide options for current employees to continue building their skills and knowledge. 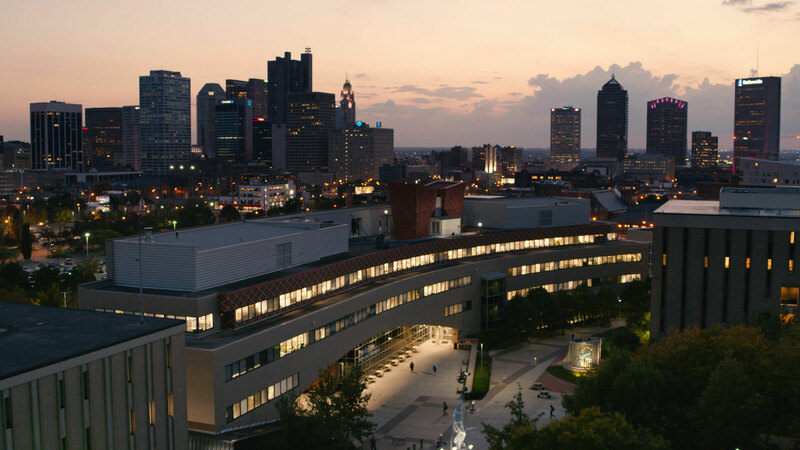 There are more than 270,000 high-wage, focused-skill jobs in Columbus that require an associate degree, and that number is expected to grow by 10,000 every year. Columbus State partners with companies to close the skills gap by linking education to career training through work study to assure that our students are ready to step into specialized, high-skill jobs. Business needs can change quickly, and employees need to keep pace. Columbus State works with employers to create custom programs that let busy professionals balance work and family while developing skills to stay competitive.